4K video Android Oppo Oppo Find Oppo Find 7 Quad HD SmartPhone Could the Oppo Find 7 be my new toy? Could the Oppo Find 7 be my new toy? If you haven't already seen all the fuss happening with the Oppo Find 7 then your living under a rock. Not that long a go we ran a poll to see which phone I should be buying up next and there it was the Xperia Z2, The Nexus 5 and the All New One. 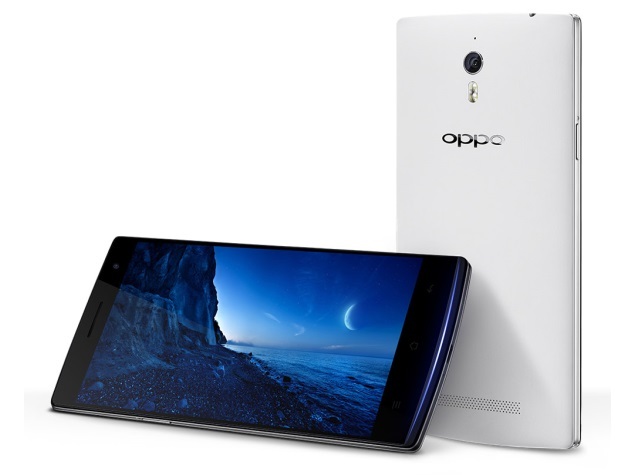 Now enters the Oppo Find 7 a few weeks after MWC 2014. I'm thinking this could now also be a contender of choice for my next smartphone. I'm pretty due to retire my HTC One, time for some changes. Let's go over the specs that the Oppo Find 7 has and see what works for me? One of the first element that jumps out at you about the Oppo Find 7 is the 50-megapixels camera with a f/2.0 aperture. This is definitely something I could get use to. Photo lovers will love the quality that these pictures will have. What's also exciting is the Snapdragon 801 processor running at 2.5ghz feature a whooping 3GB of ram. Now imagine this, will throw in a Quad HD display with max resolution of 2560x1440 and allow you to shoot 4K videos at 30fps. This is a sick beast! The device is slated to make it's debut in the U.S, Europe and China. If the U.S is getting it, I'm pretty sure we might be able to see it in Canada as well. Now to find a way to get my hands on this and test it out would be an awesome bonus. In the mean time, I'll just have to drool all over this and wait to see what comes out of it.